Whiz icing sugar, flour and cornflour in food processor. Add the butter and process until it forms a ball. You can add some vanilla seeds or a few drops of vanilla extract at this point. Turn into a swiss roll tin and press down firmly and evenly before cutting into fingers – I do three rows x 8. Prick each biscuit with a fork two or three times. Bake for 20 – 25 minutes. 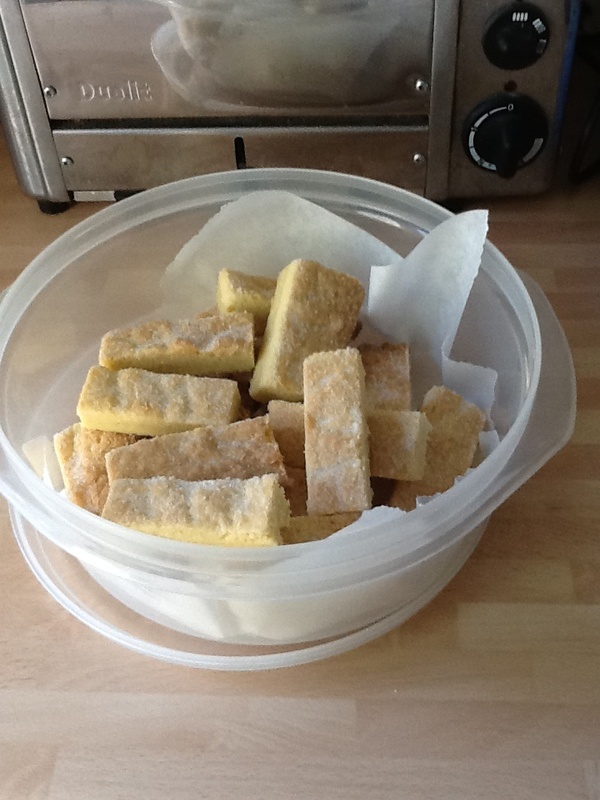 Shortbread should be pale but not doughy and a little golden round the edges. Sprinkle with a little caster sugar and allow to cool in the tin for a few minutes before removing to a cooling rack and store in an airtight tin when totally cool. This is so quick and simple to make it’s a regular in our house.